Sun City Shadow Hills by Del Webb is a 55+ active adult community offering resort style living near Palm Springs, CA. Looking for more than just golf? Sun City Shadow Hills has a full social calendar and plenty to keep you active, including the 35,000 square foot Montecito Clubhouse with a state-of-the-art fitness center, indoor and outdoor pools, tennis, and more. Sun City Shadow Hills is located just minutes from La Quinta, 30 minutes from Palm Springs, and 10 minutes to Palm Desert, with easy access to the I-10 Freeway. Find more neighborhood information on Sun City Shadow Hills here. Curious how much your home is worth? If you would like an up-to-date valuation of your home in Sun City Shadow Hills, click the image above. 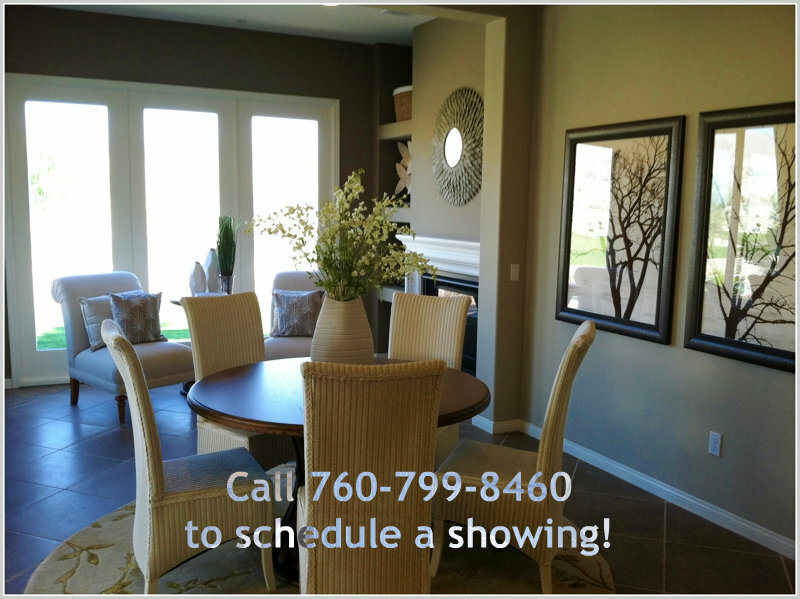 Sun City Shadow Hills Third Phase Model Homes - Less than 100 New Homes Left to Build! Sun City Shadow Hills has less than 100 new homes left to build! The third & final phase of the development is expected to finish in early 2015. The Living Well Collection starts in the low $200,000's. The floor plans range in size from 1321 square feet up to 2955 square feet with options including a den, covered patio extensions, sun room or hearth room, retreat, wet bar, and/or golf cart garage. Read more information on the third phase floor plans here. What is the proximity of grocery stores, restaurants, healthcare services, and more from Sun City Shadow Hills? 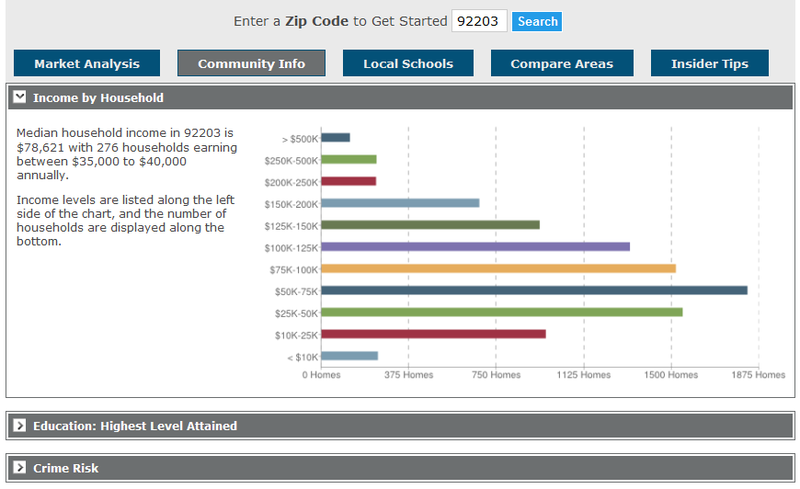 Find local statistics on the average household income in Indio, median age, education level, & crime risks of homeowners near Sun City Shadow Hills.